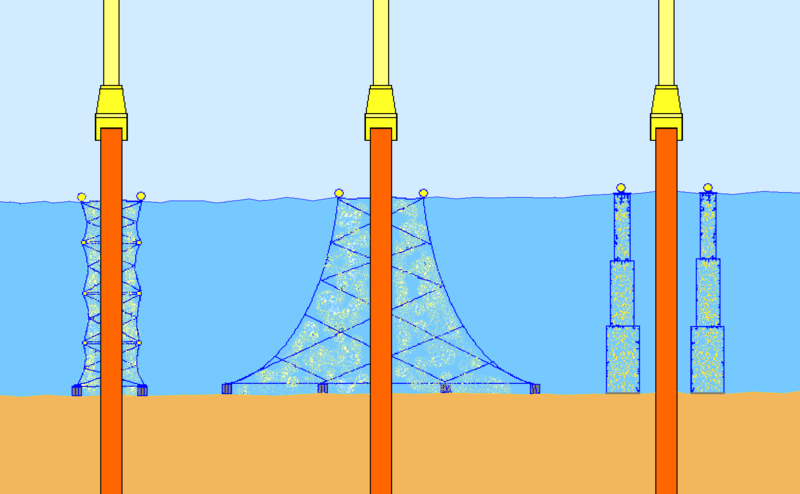 One potential technique in reducing underwater noise from drilling utilizes bubbles. That’s right, bubbles. Devices called bubble curtains take advantage of the fact that sound waves don’t travel as well through air than they do through water. By creating a curtain of bubbles around the drilling area, the energy of the sound waves is lessened as it passes through the bubbles. 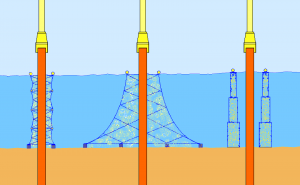 This technology has been shown to reduce the number of fish killed from acoustic effects from drilling pilings for the San Francisco-Oakland Bay Bridge (Kuhl 2012). Also, a study done in a Danish Harbor showed that porpoises in the harbor showed avoidance reactions to piling activities until a bubble curtain was constructed (Lucke et al 2011). Although this is promising evidence supporting the use of bubble curtains, they also have certain disadvantages. The bubble curtain blocks mainly higher frequencies and poorly blocks the lower frequency sound waves that have been proven to be more destructive. Also, it is hard to generate a large bubble that doesn’t break up into less effective smaller bubbles (Elmer 2010). 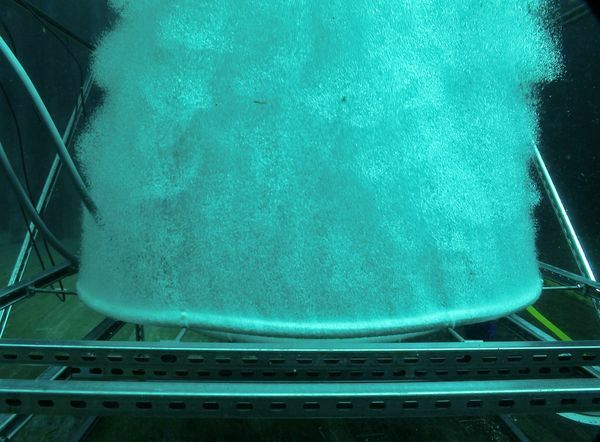 An alternative strategy to reduce underwater noise also using the properties of air is devices called Hydro Sound Dampers, which are being developed by Karl-Heinz Elmer. These devices are essentially balloons integrated into fishing nets that dampen sound waves when they pass through. These are much more controllable, cheaper than bubble curtains, better absorb the more destructive frequencies, and have been shown to reduce decibel levels of drilling by at least 20-25 decibels (Elmer 2010).